The Uyuni Salt Flats is beautiful, magical, and adventurous – our belief in the Pachamama (Mother Earth) and her creative ability has supported our belief that she has created the wonderful beautiful Andean passages found within the salt flats. The Uyuni Salt Flats are the largest salt flats in the world with an extension of 12,000 square kilometers and with surrounding mountains and volcanos that reach up to 5,000 meters of altitude. The Uyuni Salt Flats not only is rich in natural beauty, but it also contains one of the largest lithium reserves in the world. 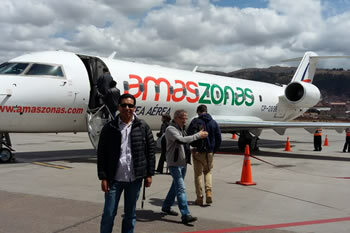 With much excitement and appreciation, our agency is more than willing to share information regarding the departures of our airlines, Amaszonas and BOA, from La Paz – Uyuni (and vice versa); these airlines are the only airlines that fly in Bolivia to the second most visited touristic destination in Bolivia: the Uyuni Salt Flats. 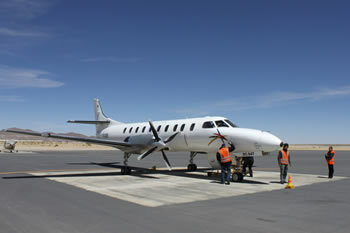 Note: flights from La Paz – Uyuni depart daily throughout the year and typically the flight is only an hour long; for exact pricing, please contact our agency.